For most of human history, death was a common, ever-present possibility. It didn't matter whether you were five or fifty - every day was a roll of the dice. But now, as medical advances push the boundaries of survival further each year, we have become increasingly detached from the reality of being mortal. So here is a book about the modern experience of mortality - about what it's like to get old and die, how medicine has changed this and how it hasn't, where our ideas about death have gone wrong. With his trademark mix of perceptiveness and sensitivity, Atul Gawande outlines a story that crosses the globe, as he examines his experiences as a surgeon and those of his patients and family, and learns to accept the limits of what he can do. Never before has aging been such an important topic. 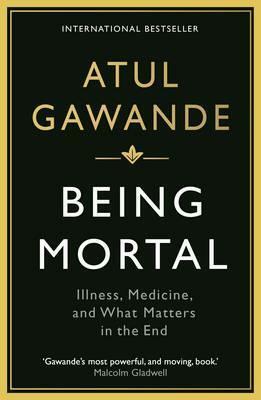 The systems that we have put in place to manage our mortality are manifestly failing; but, as Gawande reveals, it doesn't have to be this way. The ultimate goal, after all, is not a good death, but a good life - all the way to the very end. Published in partnership with the Wellcome Collection.